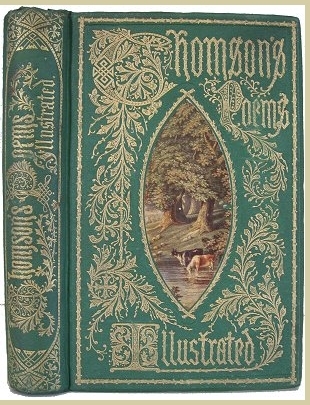 I began collecting publisher's bindings 35 years ago when I bought a b ox of 19th Century children's books which were in new condition. With their ornate gilt and colour decorated bindings they were so beautiful that I couldn't bear to part with them. So I sought some justification to not price and sell them. The solution, was obvious; build a collection. Thirty-five years later I have amassed somewhere between 2500 and 3000 examples. When I began, I made, and continue to follow, two rules for acquiring bindings for the collection. Firstly, I would buy only English, American and Canadian bindings, on the assumption that European bindings would be harder to find outside Europe and would be so sparse as to not lend much to the collection. Secondly, the most important, rule ... condition. I decided that, as with the initial lot which prompted it all, I would only buy fine or better copies. I have continued this policy with few exceptions. Publisher's dummys, which had the important part, examples of binding styles inside, I decided didn't need to have fine outer bindings. Inevitably there are a few books with minor faults which I acquired because I felt they were too important to exclude. One book is included in the collection, which is only a good copy. It is there because it was a gift from Sybille Pantazzi, a most remarkable collector and Librarian who I was lucky enough to know. She was years ahead of her time in her many bookish pursuits, and had such a forceful personality that anyone who met her would be unlikely to ever forget her. She had collected Publisher's bindings years before anyone else I know of except Ruari McLean. Important parts of her collection are in Toronto, although, sadly, split between two libraries, The Fisher Library and Massey College (where her books compliment the collection of Ruari McLean purchased by the College years ago.) Miss Pantazzi's ideas on book collecting influenced me greatly and I regret that she died before my collection reached its now impressive size. For many years I believed my collection must be the best in the world until I encountered the catalogue of the Ellen Morris and Edward Levin Collection exhibited at the Grolier Club and published by William Dailey in 2000. That collection is stunning as displayed in the catalogue, the standards of condition obviously corresponding exactly to those I have sought. I have had to assume that their collection, insofar as it can be assessed by looking in the catalog, is at least equal to mine, if not better. So maybe mine is not the best collection in the world; maybe it's the second best. However, I can be fairly certain that nothing else can be out there which could be better. However, unlike Morris & Levin I have no cut-off date (their's was 1915) but buy any distinctive design I believe appropriate even up to something published today. This collection is not catalogued. Indeed it has been some years since I have had the space to view the collection together in its entirety. I am working on proper description of the contents and various principles I used in its formation, which will be available soon. A few examples illustrating the general condition are affixed as a link. From time to time I found myself questioning my own standards. For demanding only fine copies meant that even after 35 years my Margaret Arstrong bindings for instance, are perhaps only a third of her total output and the books from Stone & Kimball are probably a lesser percentage of their output. Stone & Kimball are the only publisher whose output as a whole I buy. The only later 20th Century publishers I bought seriously was Alfred Knopf, some of whose bindings exhibit the best characteristics of modern design. But I have bought only those books I found which did exhibit those traits whereas I bought all Stone & Kimball which were in the proper condition. Because of the space problems mentioned it is not presently possible to give the precise number of volumes in the collection. There may even be more than 3000. Nor will it be feasible to view it without considerable work on our part but we do solicit enquiries. No one who has encountered the literary imaginings of Patricia Highsmith will easily forget the experience. In the words of Julian Symons, “One closes most of her books…with a feeling that the world is more dangerous than one had imagined.” For nearly five decades Highsmith brought her unique brand of the psychological thriller to captivated audiences worldwide, leaving us with a body of work that pushed the boundaries of genre and social mores. Here we offer a collection of Highsmith’s works, built over a span of 25 years, which includes nearly all of her books in first British or American editions—in many cases both, and more often than not signed by the notoriously private writer. Also included in the collection are limited editions, uncorrected proofs, advanced reading copies, a selection of paperback reprints, and secondary materials such as contributions, studies of Highsmith, and items related to the numerous film adaptations of her works. Beginning her career with the staggering Strangers on a Train, Highsmith went on to create one of the most memorable and unique antiheroes of the 20th century in her legendary Ripley novels. While her career is considered by many to be defined by those works, she published a total of 22 novels and eight short story collections between 1950 and 1995, as well as an unlikely children’s book, Miranda the Panda is on the Veranda (a signed first edition of which is also present in the collection). Another key element in the career of Patricia Highsmith is the numerous adaptations of her work for television and cinema (her IMDB page boasts 38 writing credits). A number of prominent directors adapted her novels into critically acclaimed films, notably Hitchcock’s masterpiece, Strangers on a Train (1951), Claude Chabrol’s The Cry of the Owl (1987), and Anthony Minghella’s The Talented Mr. Ripley (1999). Her novels and short stories were adapted for television internationally, including America’s Alfred Hitchcock Presents, and numerous French and German mini-series and made-for-TV movies. There are even two major motion pictures in production at the moment—The Blunderer, and an adaptation of The Price of Salt titled Carol. Over the years her connection to the film industry proved to add significantly to her fame and her fan base. High spots of the collection include: the original contract Highsmith signed with Dodd, Mead for her first book, an as yet untitled novel that would become Strangers on a Train (the contract was unfulfilled, and the novel was eventually published by Harper & Brothers); a signed first edition (though lacking the dustwrapper) of Strangers on a Train; a warmly inscribed first edition of The Talented Mr. Ripley with a large abstract figure drawn by Highsmith on the endpaper, as well as signed copies of the first British edition and the proof of the first British edition; an archive of contracts and correspondence relating to film and television rights. The numerous signed volumes are themselves notable as Highsmith avoided readings and signings (she once equated her personal experience after interviews as similar to recovering from a car crash). "It was a dark and stormy night..." Famous now, almost solely for that marvelous opening phrase (the full sentence actually goes on for half a page in it's entirety and is worthy of James or Faulkner). 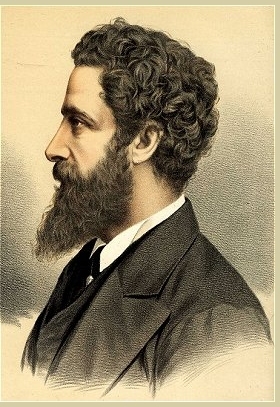 In his time Bulwer Lytton was considered to be the equal of Scott and Dickens. He is another example of what scholars and antiquarian booksellers well know - the melancholy destiny of all but a few of the most famous writers in every age; oblivion. I started a collection of Bulwer 30 years ago for just that reason. 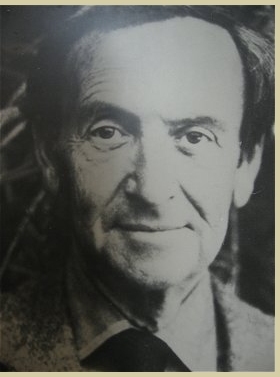 I wanted to form a collection of books of an author who had been immensely popular in his time but who was not now greatly sought after by collectors. Therefore his books would still be available, with a large variety of secondary editions and I could hopefully buy over the long term without spending a fortune. Bulwer fit that bill almost perfectly. But like all such initially sound ideas, time proved my task much more difficult. The notion of inexpensive books ended almost immediately when a prominent American colleague offered a large lot of Bulwer first editions rebound in full morocco, which I naturally had to buy. And the common part didn't last much longer. But there was enough obscure, and sometimes mystifying material to afford a lengthy and always interesting search. Bulwer's fame, such as it is now, rests largely on "The Last Days of Pompeii", and the yearly contest run by an academic in California which offers a prize for the worst imaginary beginning sentence based on "It was a dark and stormy night..." And, of course not least the appropriation by Snoopy of that famous line in his philosophical meanderings while he plans his great novel. Still, Bulwer is not without merit. 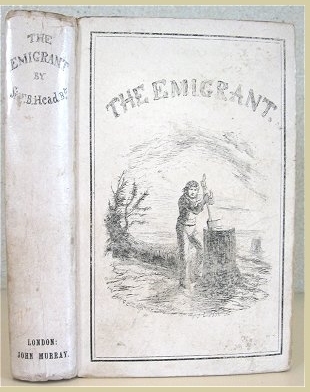 Like many of his contemporaries who had to conform to the Victorian publishing format of three volumes, he is a bit wordy (seldom using one adjective when six can do) but one can still read him with amusement. 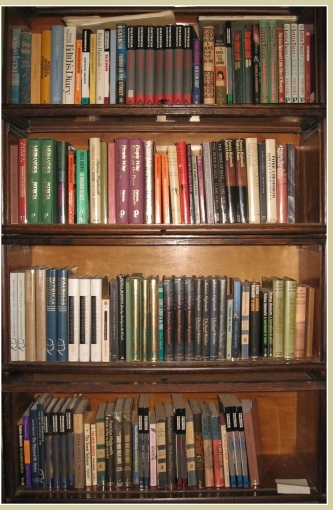 Our collection includes books of his wife (whose divorce scandal aroused partisan passions from such persons as Byron and Harriet Beecher Stowe); his son's books, (who himself became a famous poet under the pseudonym "Owen Meredith" and is now noticed only by scholars of the period) and his brother Henry, a diplomat and historian. Bulwer Lytton's enormous fame is still reflected by the many collected editions of his books churned out in the late 19th century which are still fairly often encountered in bookstores and flea markets but many of his individual novels are not easy to come by. We can offer a very good collection of Brian Moore which I have amassed over many years. Moore, born in Belfast Northern Ireland, emigrated to Canada as a young man where he lived and worked in Montreal. As he became more successful, and known internationally, he relocated to California but never gave up his Canadian Citizenship. He visited Canada frequently until his death in 1999. Moore's work is consistently moralistic in tone. In spite of a very early loss of his Catholic faith just about every one of his books revolve around the dense moral dilemmas faced by people who usually have a strong moral basis to fall back on. Moore has always seemed to me to be a Catholic moralist in the vein of his English contemporary Graham Greene, himself a convert to the Catholicism which Moore rejected. Someone asked Moore late in life how it could be that he claimed to be an atheist when his every novel was permeated with the moral dilemmas more appropriate for those people who have spent a lifetime wrestling with their religious impulses Moore's answer, both succinct and deeply melancholy, seems appropriate. "I never had the gift of belief", he stated. With his usual ability, to get right to the core of things this statement conveys to a me a strong indication of Moore's sadness at his lack of ability to believe. Any critical note of Moore always touches on his extraordinary ability to portray women, especially in their thoughts. Aside from the considerable bravery necessary for a male writer to attempt to portray the workings of a woman's mind, the skills necessary for such a task are probably beyond the talent of all but a few of Moore's contemporaries. Like many another passionate reader, I have been bitterly disappointed many times when films made from my favorite books failed to even partially fulfill the imaginative vision of the writer. Of the three exceptions which immediately come to mind (the other two are "The Godfather" and Ishiguro's "Remains of the Day"), the movie made of "Judith Hearne" is a magnificent rendering of Moore's great vision, of a woman's alcohol fueled slide into despair. There are quite a few inscribed books in the collection but no manuscripts, Moore's papers being held by a Canadian University. We do include an ALs from Graham Greene where he refers to Moore as his favorite living novelist.